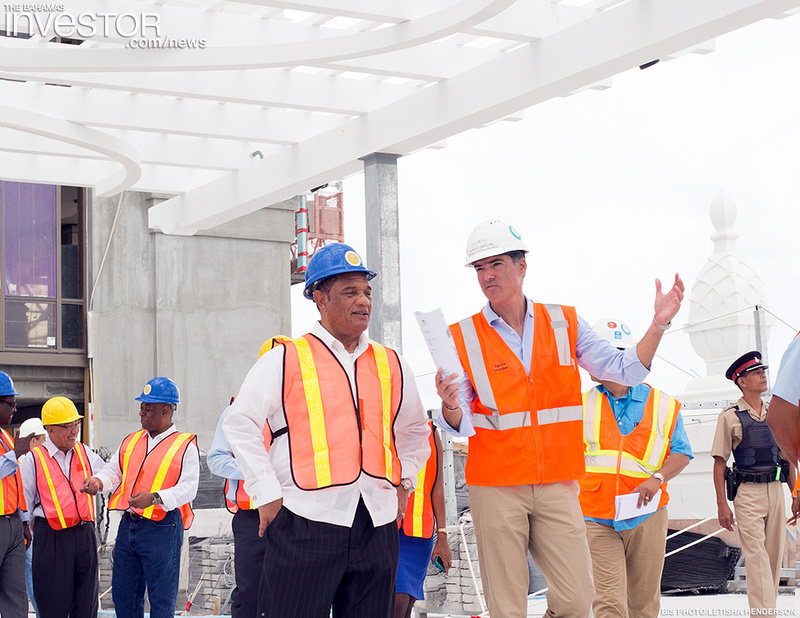 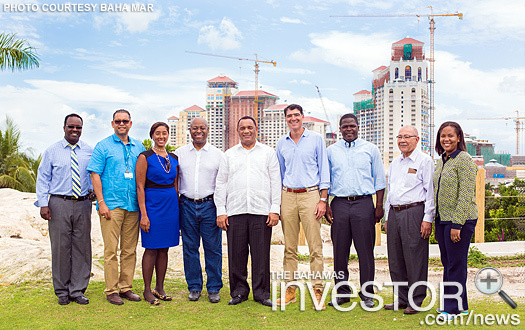 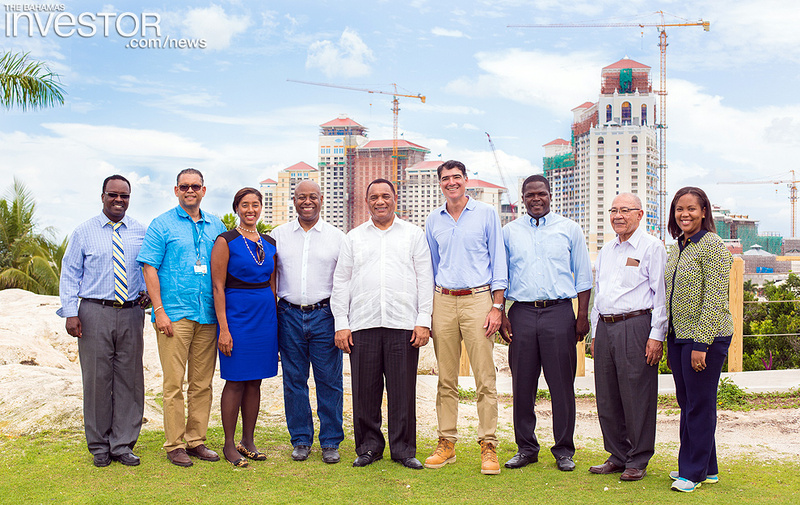 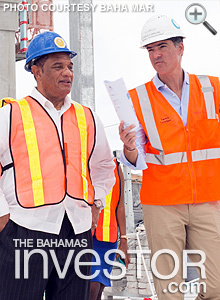 Christie toured the site accompanied by: Minister of Youth, Sports and Culture Dr Daniel Johnson; Minister of Tourism Obie Wilchcombe; Minister of State for Investments Khaalis Rolle; director of investments in the Office of the Prime Minister Candia Ferguson; and senior policy advisor Sir Baltron Bethel. 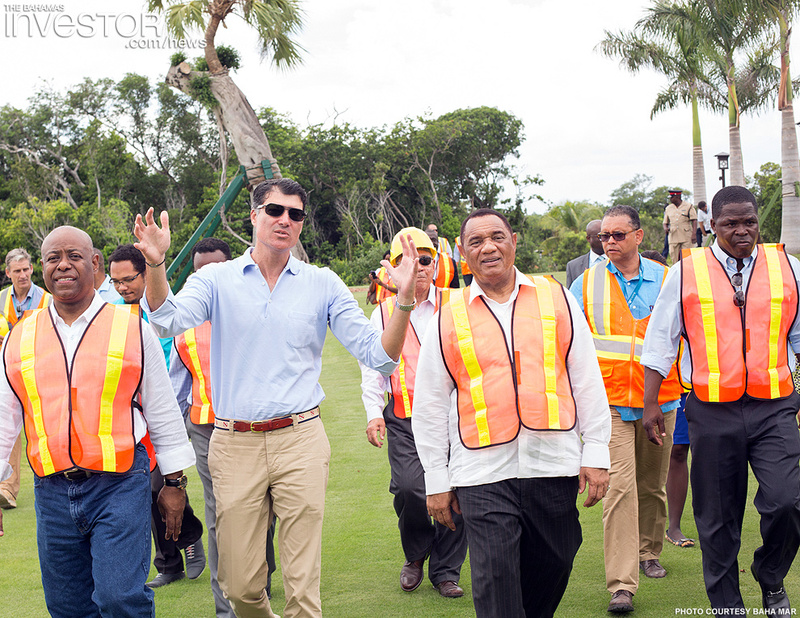 The group got a first-hand glimpse of the many amenities that will be available when the resort opens in late spring of 2015, including the 100,000 sq ft casino, beach sanctuary and Jack Nicklaus Signature Golf Course. 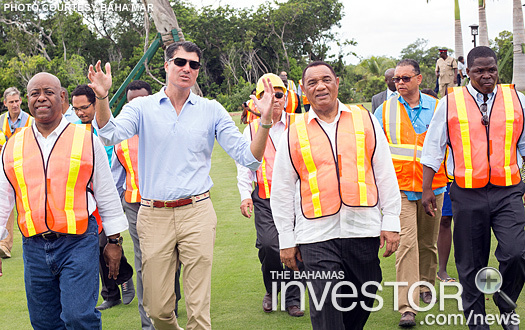 Prime Minister Christie said he was “greatly impressed” by the progress being made and commended Izmirlian on the execution of his vision of the multibillion dollar resort.